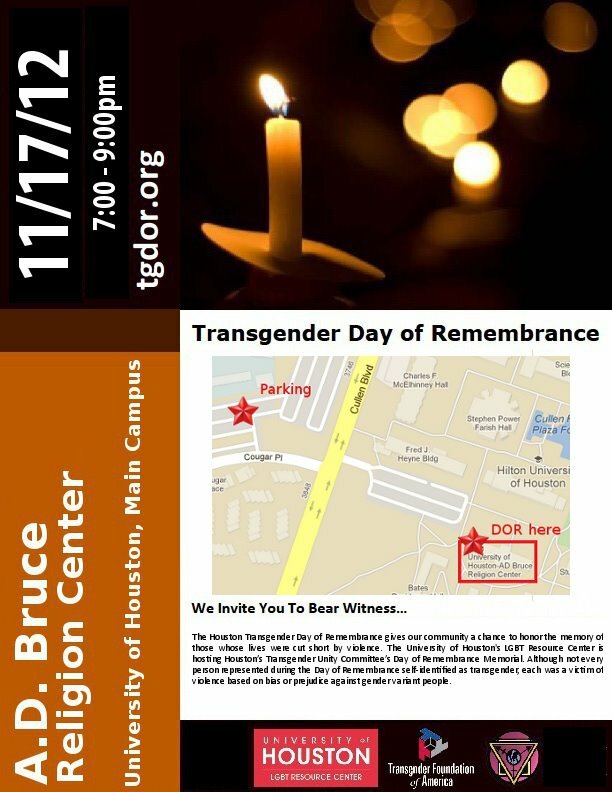 This year Grace will join the city's LGBT community at the University of Houston's A.D. Bruce Religion Center to honor the memory of those whose lives were cut short by violence. Please join fellow Gracians as we attend this memorial service on Saturday, November 17, at 7pm. Please read below for more information on The Transgender Day of Remembrance.